The Alaska Department of Fish and Game offers two summer internships for aquaculture students: one with the Division of Commercial Fisheries and one with the Division of Sport Fish. High school students, undergraduates, and college graduates are eligible to apply. Applications are due in February and internships generally run from late May to late August. They are paid opportunities with compensation ranging from $13 to $25 per hour. The Edenton National Fish Hatchery (in North Carolina) offers spring, summer, and fall internships. Interns work primarily with striped bass and American shad fish. Daily duties include sorting and grading fish, feeding, habitat maintenance, and preparing shipments. Interns receive a stipend of $90 per week, free housing, laundry facilities, and necessary work and safety equipment. The Florida Fish and Wildlife Conservation Commission offers a stock enhancement research internship for aquaculture students at its marine hatchery in Port Manatee. Interns help raise species such as red drum and spotted seatrout, assist with pond maintenance, record data, and conduct an independent research project. Internships are unpaid and require a commitment of at least 8 hours per week for a period of 12 to 16 weeks. The Mote Marine Laboratory in Florida offers a marine and freshwater aquaculture and stock enhancement internship program. Interns are involved in all aspects of husbandry, nutrition, health management, construction of recycling systems, and field sampling. Most work centers on corals and finish (red drum, sturgeon, snook, and pompano). Applicants must have completed at least 2 years of an undergraduate degree and have a car so that they may travel between the main lab and the satellite Mote Aquaculture Park. Interns generally work Monday through Friday business hours, but occasional extended hours or weekend work may be required. Walt Disney World offers an aquaculture internship at Epcot in Florida. Interns lead tours of the 20,000-gallon facility, assist with husbandry and cleaning, collect data, and participate in training sessions and classes. Applicants must have at least a 3.0-grade point average, aquatic animal husbandry experience, and public speaking experience. They must be sophomores, juniors, seniors, or recent graduates pursuing a major in aquaculture, marine science, biology, or animal science. Internships generally run for 6 months. A limited amount of company-sponsored housing is available. 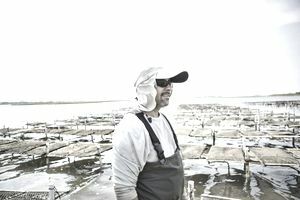 The New England Aquarium’s Lobster Research and Rearing Facility (LRRF) offers a lobster aquaculture internship in Massachusetts. Interns are involved with counting lobster larvae, cleaning tanks, feeding, and collecting data. Interns must commit to working at least 2 full days per week for a period of at least 12 weeks. Trout Unlimited, a national organization with over 150,000 members, offers a few internship opportunities in several locations. If the budget permits, Trout Unlimited provides a small stipend and may also be able to help a student obtain academic credit for the internship. Those seeking summer internships must apply by April. A recent biological field technician internship posting (centered on fish and aquatic habitat surveys in Idaho) offered a $2,200 per month stipend plus $20 per diem while in the field. Additional opportunities may be found on our marine animal internship and zoo internship pages.